When flu season hits, the last thing that you want is to lose time from work or school because you’re under the weather. Between a high fever, body aches, fatigue, and weakness, the flu can really put a damper on your life. That’s why at Vineyard Primary Care in Owensboro, Kentucky, Dr. Jeremy Luckett and Nurse Practitioner Christina Wilkerson provide flu shots every year to help people get through the flu season. Influenza, more commonly known as “the flu”, is a respiratory virus that most frequently appears in patients during the winter and spring. Spreading through the upper and lower respiratory tract, men and women who have the flu can expect to experience body aches, fatigue, fever, coughing, and headaches. How did I get the flu? The flu virus is spread through what are called “respiratory secretions”, which basically means when one person’s mouth or nose fluids are transferred to another. A cough or sneeze can make this virus airborne and when it is inhaled there is a risk of infection. Sharing utensils or drinks can also increase your chance of contracting the flu. Because the flu is so highly contagious, people who daily come into contact with groups at daycare centers, school, shopping malls, or any large gathering have an increased risk and should get vaccinated. People at higher risk, such as babies, the elderly, pregnant women, and people who suffer from diseases like diabetes are most likely to catch the flu, because their immune systems are not as well equipped to deal with the virus. If you are at risk of getting the flu, it’s important to take preventive action. First, avoid coming into close contact with anyone that has the virus. One of the best ways to protect yourself is simply by washing your hands, using hand sanitizer, and using sanitizing cloths on shopping carts at stores that offer them. Touching germs on surfaces can transfer them to your hands and then touching food or anything that touches your mouth can introduce the virus to your body. While these methods are effective, the best way that you can prevent yourself from getting the flu is through immunization. Dr. Luckett and Nurse Practitioner Christina Wilkerson will provide you with the flu vaccine that you need to make it through the season without being sidelined by the flu. 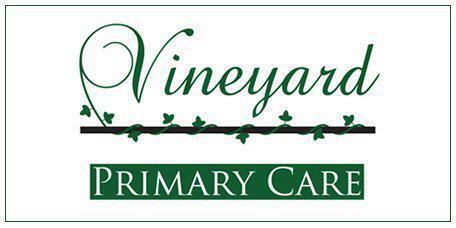 Vineyard Primary Care offers flu immunizations with both a standard dose and a high dose, as well as other vaccines that can prevent serious illnesses, such as PrevnarⓇ and PneumovaxⓇ 23 for pneumonia and ZostavaxⓇ to prevent shingles.